Attractive dark blue umbrella with union jack design to whole canopy. Matching blue pistol grip handle. Metal spring loaded flip cup and spike. 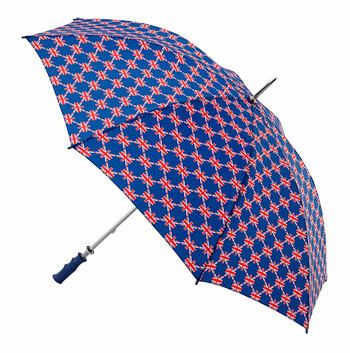 Available from only 25 umbrellas and with a 2 week leadtime.